If you have been thinking about moving to Las Vegas (make sure to check out our moving services), you could be wondering what to expect. After all, when you think about Sin City, you probably think of it as a vacation destination where you can go to party, gamble and do all of the things that you don’t do back home. In fact, a whopping 42.9 million people visited Southern Nevada in 2016, and many of them visited with the intention of spending time on the world-famous Las Vegas Strip. Even though many people visit Sin City each year, Las Vegas is much more than just a tourist destination: it’s actually a great place to live. Here’s why. One major reason why people move to Las Vegas over other cities is because of its affordable cost of living. 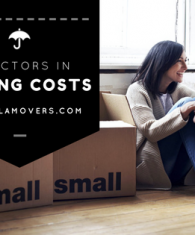 Many people find that housing prices, rental rates, utilities, food and more are more affordable than the cities that they move from. Regardless of what your housing budget might be or what you are looking for in a community, you’ll probably find it in Las Vegas. Those who are looking for a cultural community are sure to love the Arts District, and those who are seeking luxury are sure to find the perfect home and neighborhood in South Summerlin. You can find everything from impressive mansions in luxurious gated communities to humble Southwestern-style homes in friendly family neighborhoods in the Las Vegas metropolitan area. When many people think of Las Vegas, they think of spending time drinking or sitting at a slot machine. However, there is actually a great outdoor scene in Las Vegas. In an hour or less, you can head to the ski slopes, enjoy beautiful rock formations in places like Red Rock Canyon or head to Lake Mead for a day of waterskiing. Plus, in just a few hours, you can visit beautiful national and state parks in California, Utah and Arizona. Even the Grand Canyon is only a few hours away. Even though Las Vegas has many comfortable family neighborhoods and lots of outdoor activities, it also has a fully thriving city scene for you to enjoy. Of course, you can always head to the famous Las Vegas Strip to enjoy world-class restaurants, shows and tourist attractions. Downtown Las Vegas also offers live music, gambling, dining and more. Some people like to visit — and move to — Las Vegas from colder climates simply because of the warmer and sunnier weather. Of course, it can get chilly in Vegas — and there is even occasional snowfall in the winter, although it doesn’t happen very often — but overall, it’s warmer than many cities in the United States. If you’re looking to escape a cold climate, you’re sure to love the nearly 300 days of sunshine a year that you can enjoy in Sin City. Of course, the summer months can be brutally hot, but many people who move from more humid climates find that the dry heat is a refreshing change. Even though many businesses close down outside of regular business hours, you might be surprised by just how many stores, restaurants and more are open late — or even 24 hours. If you’re a night owl or an early riser, you are sure to love the fact that you aren’t restricted to the same daily schedule that is so common in many other cities. As you can see, Las Vegas has a lot to offer. Beyond being a world-renowned tourist destination, it’s a fabulous city to live in as well. 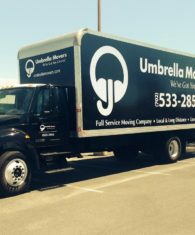 The Las Vegas moving company that has you covered. © Copyright 2017 BY UMBRELLA MOVERS, LLC. All Rights Reserved.